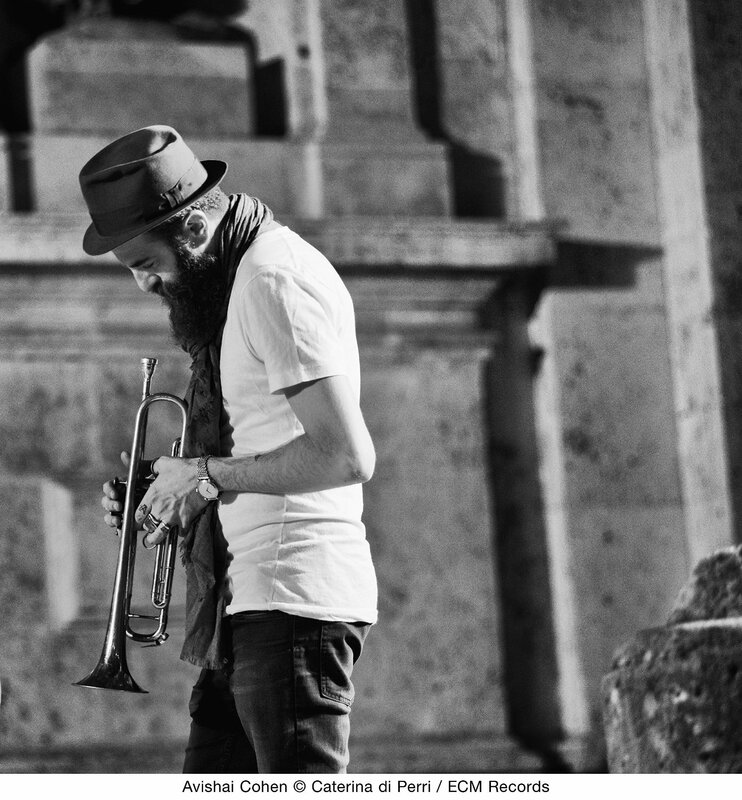 Avishai Cohen impressed a lot of listeners with his soulful contributions to Mark Turner’s Lathe of Heaven album in 2014. 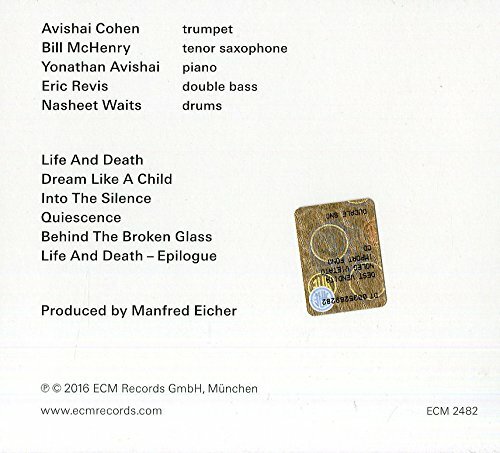 Now the charismatic Tel Aviv-born trumpeter has his ECM leader debut in a programme of expansive and impressionistic compositions for jazz quartet (trumpet, piano, bass, drums), augmented by tenor saxophone on a few pieces. Into The Silence is dedicated to the memory of Avishai’s father David, reflecting upon the last days of his life with grace and restraint. 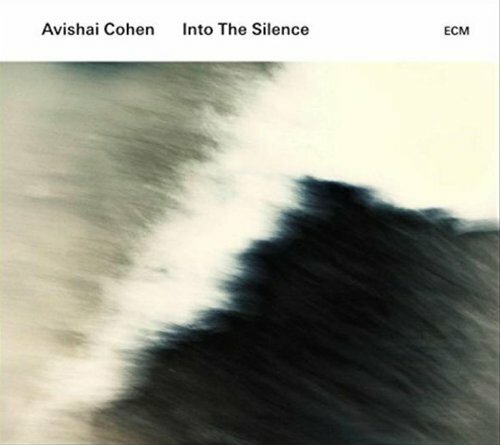 Avishai’s tender muted trumpet sets the emotional tone of the music in the album’s opening moments and his gifted cast of musicians explore its implications. 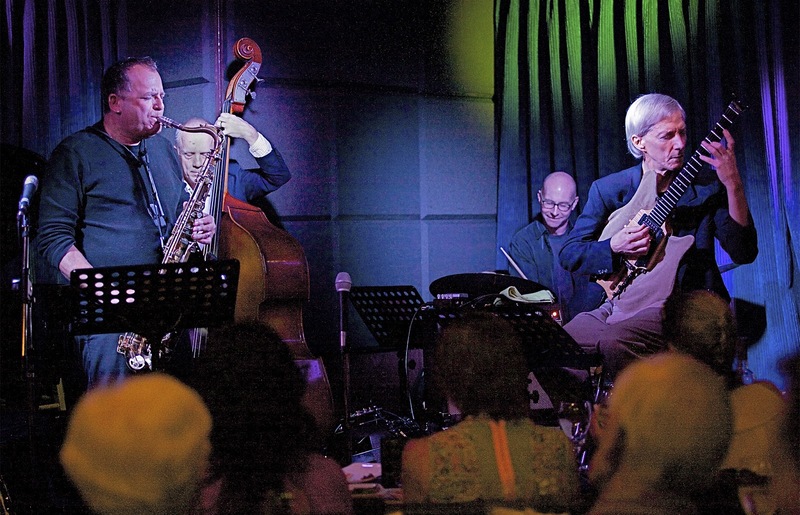 Israeli pianist Yonathan Avishai has played with Cohen in many settings and solos creatively inside the trumpeter’s haunting compositions, sometimes illuminating them with the phraseology of the blues. Cohen and drummer Nasheet Waits have a hypersensitive understanding and their interaction can, from moment to moment, recall the heyday of Miles Davis and Tony Williams or Don Cherry and Billy Higgins. Yet this music, while acknowledging inspirational sources, is very much of our time. Bassist Eric Revis, a cornerstone of the Branford Marsalis quartet for two decades, provides elegant support throughout. And saxophonist Bill McHenry, a subtle modernist who has worked with Paul Motian and Andrew Cyrille, shadows Cohen’s lines with feeling. Into The Silence was recorded at Studios La Buissonne in the South of France in July 2015 and produced by Manfred Eicher. "Borah Bergman was my favorite pianist. One of the few pianists who can work with me at all." "One of the greatest pianists of our time." "Borah Bergman is perhaps the most technically accomplished pianist in jazz -- and if he's not at the top, then he's certainly on a short list of two." Featuring Borah Bergman on piano, Peter Brotzmann on ten or sax, bass clarinet & taragato and Frode Gjerstad on alto sax. This set was recorded live at the Molde International Jazz Festival in Norway in July of 1996. When Borah Bergman passed in 2012, we lost one of the finest and most distinctive pianists to emerge from New York in the past century. 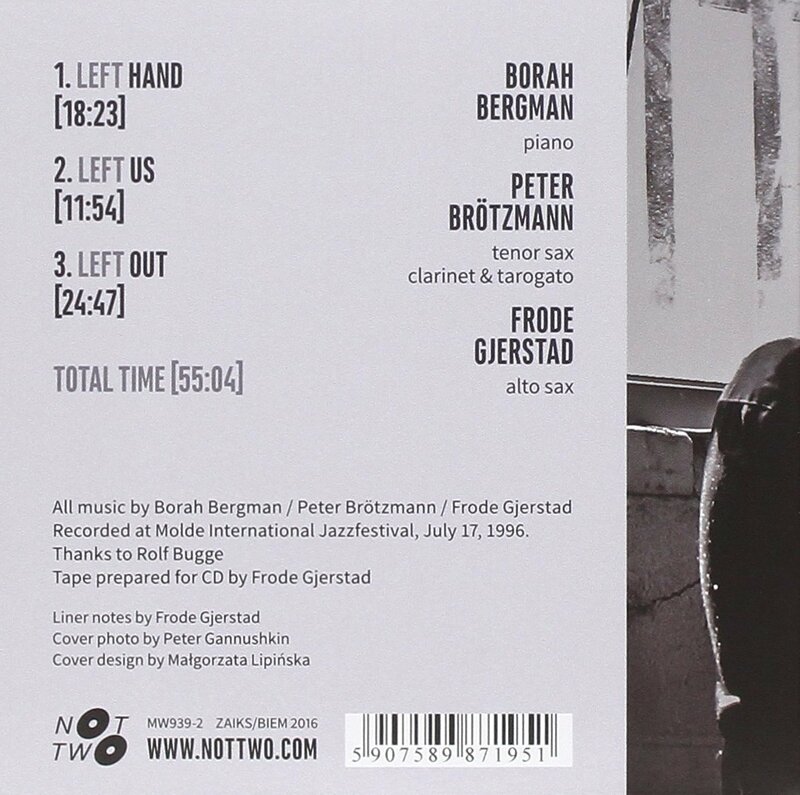 Mr. Bergman has recorded duo CDs with both Mr. Brotzmann and Mr. Gjerstad in the past, as well as a couple of trios with Anthony Braxton or Andrew Cyrille. Mr. Brotzmann erupts with his unique, clarion call tenor right from the first note. He is soon joined by Mr. Bergman’s explosive piano and later by Mr. Gerstad’s equally distinctive, bent-note cluster. 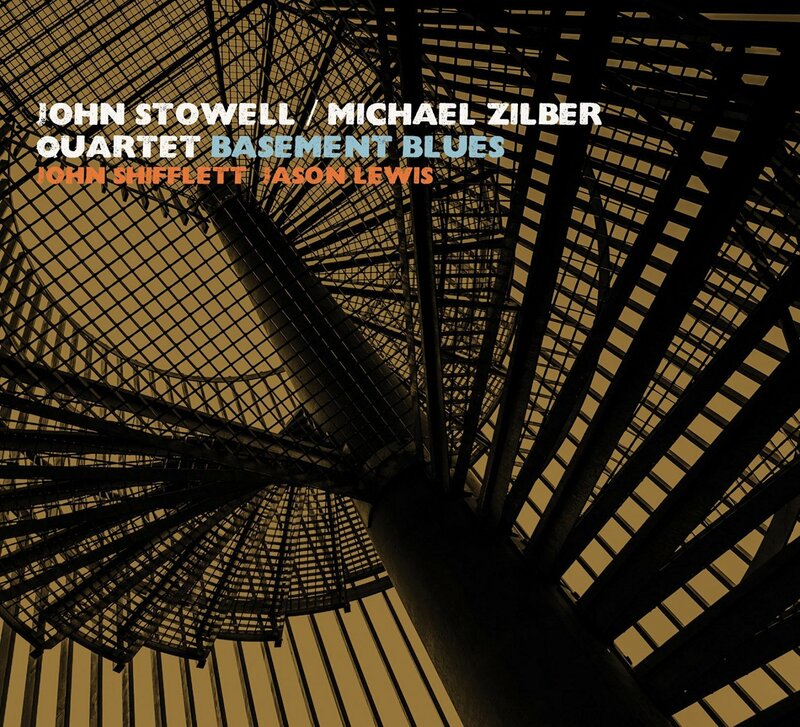 The sound here is superb, the performance well-balanced and well-recorded. There are three long pieces here, each with the word “Left” in the title as in “Left Hand”. 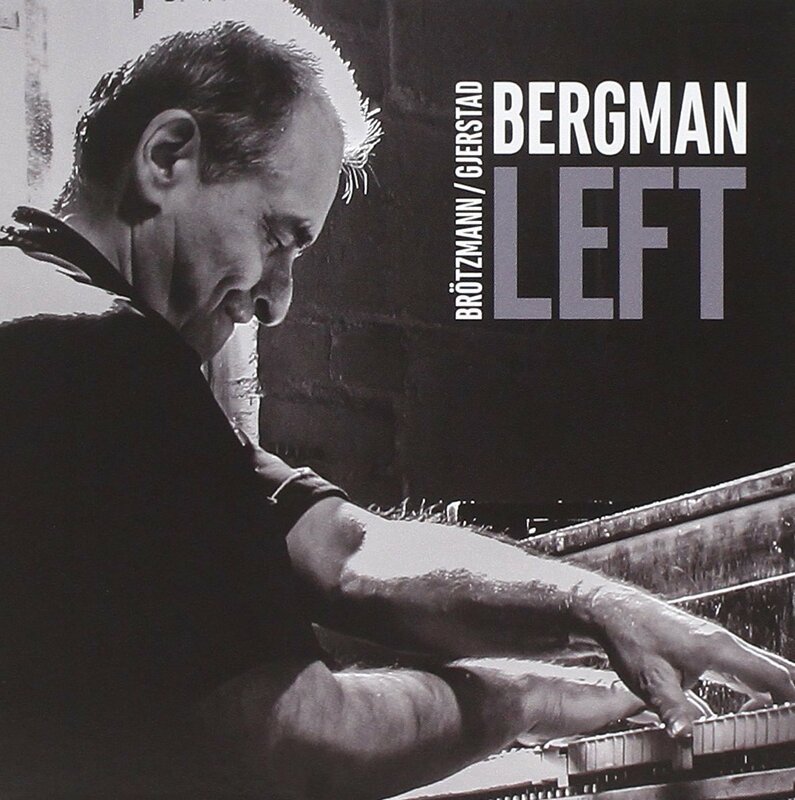 Mr. Bergman was well-known for his singular-style ambidextrous playing, even recording an entire album side of just his left hand at the piano. What makes this combination so intriguing is that Mr. Bergman is often balancing two separate lines or strategies with each hand as well as interacting with each saxist independently. This makes for some fascinating listening which requires some deep concentration as two strong forces shift between different poles. Both Mr. Brotzmann (on tenor or clarinet) and Mr. Gerstad are well-matched saxists. Sometimes Brotzmann slows down to carefully bend certain notes while Gjerstad speeds up, interjecting occasional streams of notes. 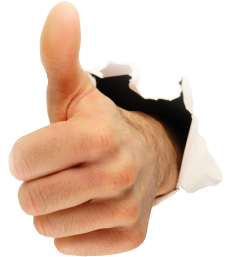 I like that this session is not all, over-the-top bluster, there are a number of more stark moments which are filled with suspense and thoughtful ruminations. This is a colossal trio effort that had me at the edge of my seat throughout its 55 minute length. "The music here is beautiful, lyrical and thoughtful. Two pros taking care of business!!" 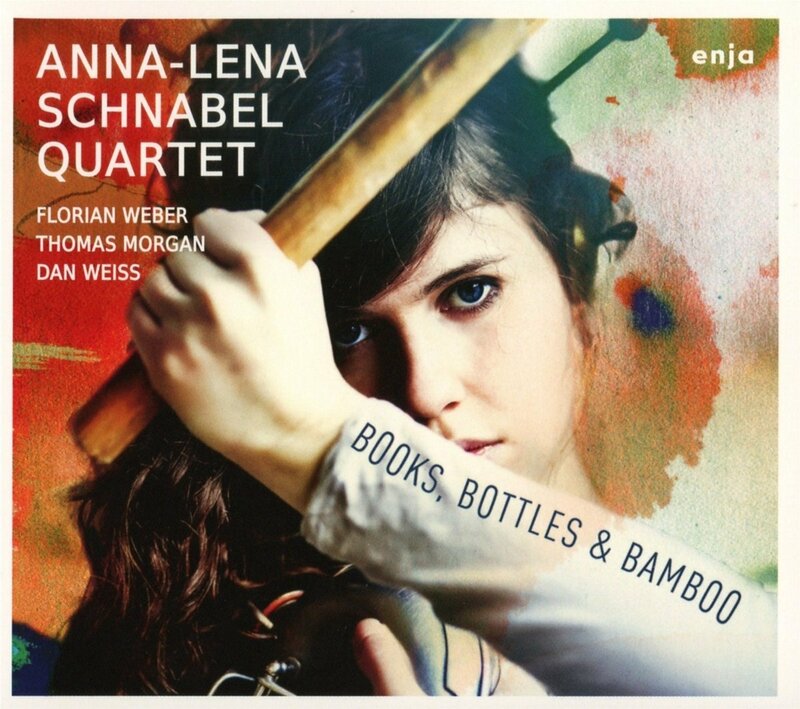 Anna-Lena Schnabel ist mit 24 Jahren schon eine der beeindruckendsten Saxofonistinnen, von vielen bereits als Ornette-Coleman-Nachfolge gefeiert. 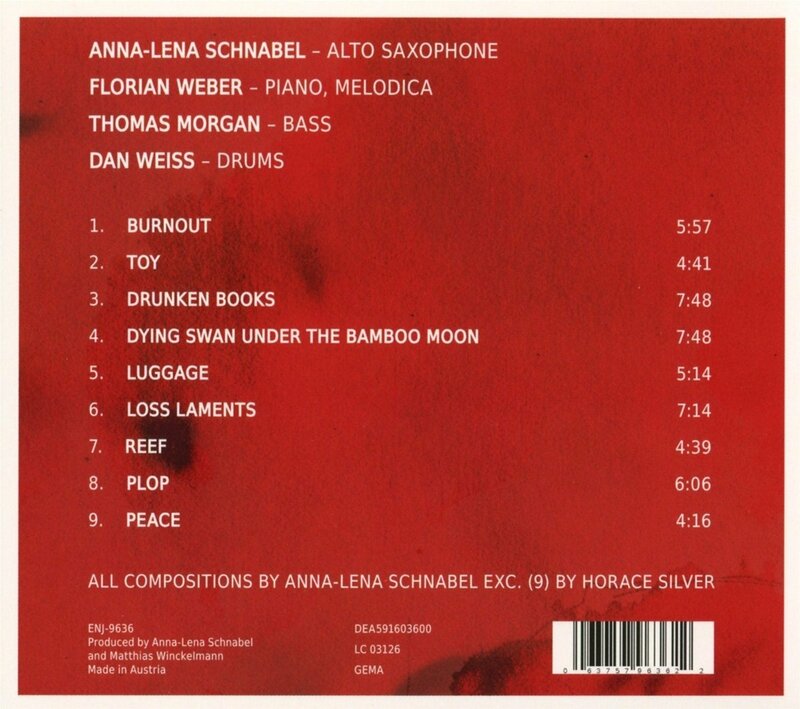 Anna-Lena Schnabel, junges Jazz-Talent aus Hamburg, von der Presse schon als Ornette-Coleman-Nachfolge gefeiert, ist nach Produktion im SYSTEMS TWO-Studio in Brooklyn, N. Y. mit ihrem Debüt bei ENJA RECORDS untergekommen. Es bedeutet schon etwas wenn sie auf ihrem Debütalbum so viel mehr erreicht als nur mit ihren Kollegen auf Augenhöhe zu sein und mitzuhalten. Sie führt diese Welt mit erfahrenen, erfolgreichen Musiker in frisches, nicht vorhersehbares musikalisches Terrain mit ihren kühnen Kompositionen, einer Ballade und einer freien Gruppen Improvisation. Die junge Musikerin (geb. 1989) schrieb ihre Masterarbeit an der Hamburger Musikhochschule über die Improvisationstechnik Charlie Parkers auf seiner Aufnahme von »My Old Flame«. Ihr rauher Alto-Sound erinnert an Ornette Coleman und Eric Dolphy, aber auch John Coltrane und Mike Brecker sind ihr wichtig. 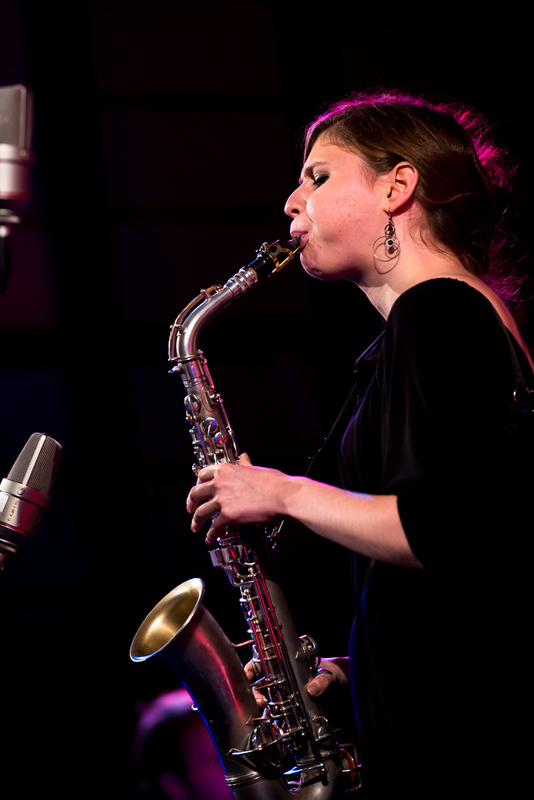 Anna-Lena traf Florian Weber im Deutschen Jugend Jazz Orchester, später erste Aufnahmen mit Dominic Miller und Lars Danielsson, Konzerte mit den Legenden Kenny Wheeler und John Taylor folgten. Webers CD »Biosphere« mit Thomas Morgan, Dan Weiss und Lionel Loueke inspirierte sie und ist wohl ein Schlüssel zum Erfolg ihrer ersten eigenen Session. Die Dichte und ihre kantigen Linien erinnern auch an den George Russel der 60er-Jahre. Im Gegensatz dazu steht die wunderschöne Horace-Silver-Ballade »Peace«, die Anna-Lena immer Frieden gibt, wenn es ihr nicht so recht gut geht, wie sie sagt.